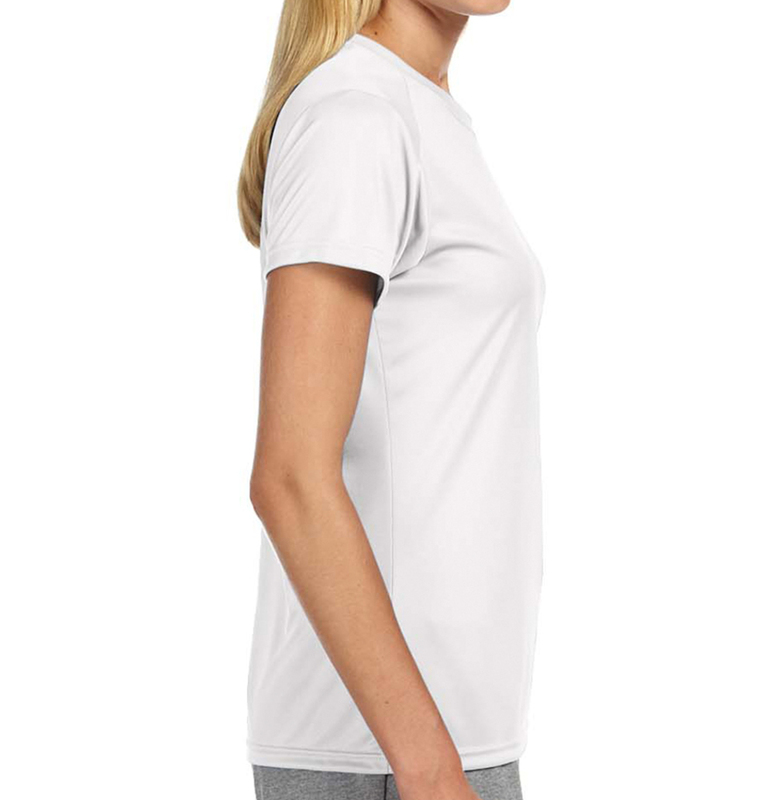 This 100% lightweight polyester shirt will keep you cool, no matter the workout. It’s great for printing, meaning your design will stay vibrant and unique. 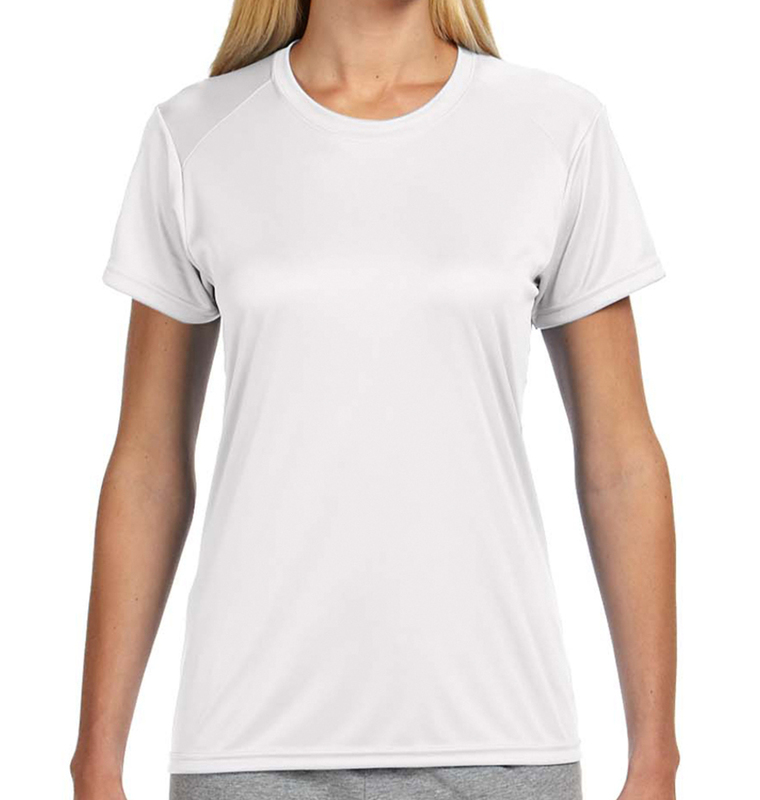 A great choice for women’s activewear. Designed for printing--yours will look great! Originally ordered 12 custom women’s shirts but some seemed too small. Rush order tees re made ones that didn’t work at a very reasonable price for custom shirts. Love the quality! Got our football number, had to have custom shirts to support the boy...3 days later we had shirts WITH delivery. Front and back, 3 color w/ graphics. Sharp print, pretty nice ink color. Really pretty darn happy. 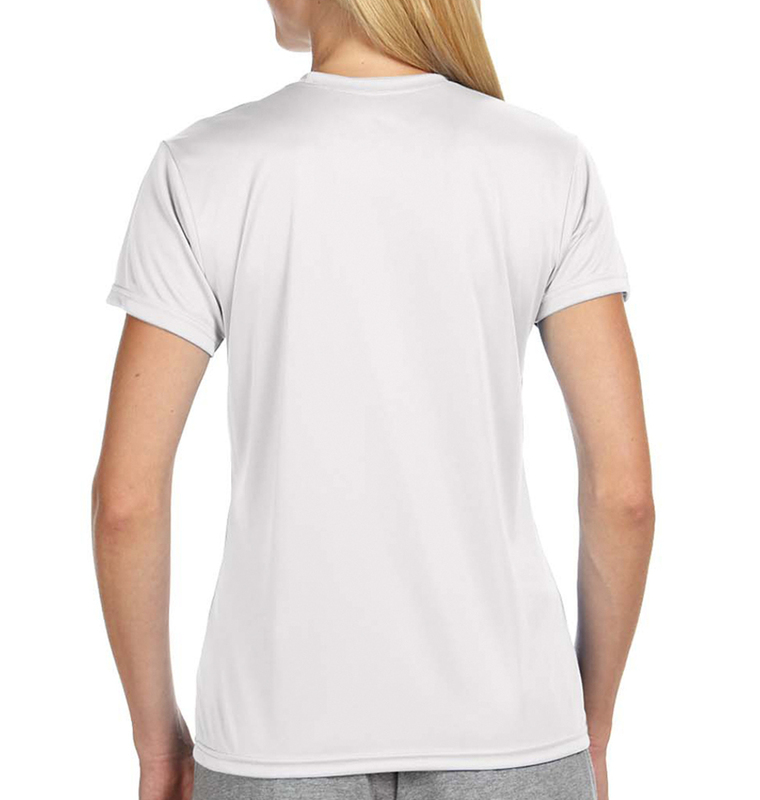 The screen printed dri-fit tee we ordered were top notch. The quality and printing was excellent and they turned out just like the proof showed when we submitted our order. The shirt were delivered at the time we were told. Happy with the ease of the ordering process and the tees. Great shirts. Quick turn around! The quality of work is very good. Quick turn around on the orders. we love the prices, great printing quality and understand any art. Great work. Shirts came in a timely fashion. And we perfect!